Discover echinacea benefits for the body and skin! This echinacea herb has tall stems with pink or purple flowers. Its central cone resembles a spiked comb, with sharp prickly spines. The cone is the seed head of this flower. It’s alternate name is purple coneflower. This popular perennial herb is native to North America and used throughout history. Nine identified plant species exists, but three are often used medically: Echinacea angustifolia, Echinacea pallida and Echinacea purpurea. Medicine is made from echinacea leaves, flower and root. Chemicals in the root differ from the upper plant. The roots have high concentrations of volatile oils. Above-ground plant parts contain polysaccharides, substances that trigger the immune system. Research suggest the above ground part of Echinacea purpurea is most medicinally effective. Echinacea is in different forms: dried herb, liquid extracts, tablets, capsules, juice, tea, ointments and creams. It may be combined with other herbs. Find it at most pharmacy, grocery or natural health food stores. Its taste varies depending on mixtures. It can leave an unpleasant after taste of licorice and alcohol. Juice echinacea, alone, as a small one ounce drink. For larger drinks, combine it with other herbs, fruits or vegetables. - Prevent breakdown of hyaluronan, (a component of cartilage and synovial fluid). Hyaluronan is known as the “goo molecule”. CAUTION! Currently, concerns exist about the quality of echinacea on the market. Some products are mislabeled and may not even contain echinacea. Read product ingredient labels and directions well. - Skin rash, especially in children. - Read FDA Echinacea Facts. 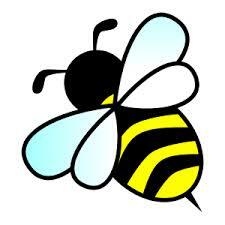 - Avoid echinacea if you're on immunosuppressant medication. 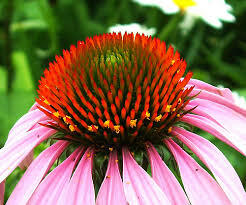 - Avoid echinacea if allergic to ragweed, marigolds, daisies, chrysanthemums or any plants from the Asteraceae family. - Avoid if you have tuberculosis, leukemia, diabetes, connective tissue disorder, multiple sclerosis, HIV, Aids, autoimmune disease, liver disorder. - Consult health care provider before taking echinacea if breast feeding, pregnant, on prescription medicine or under care for medical conditions. DIRECTIONS: Mix echinacea, water and lavender. Add liquid slowly to the clay while stirring. Once mixed, the resulting paste should stick to the skin. Apply on injured area. Store the poultice in a tight lid container, if it does dry out add water until moisten enough to stick to the skin. DIRECTIONS: Apply a few drop of tincture to the tooth and gums. It will numb the pain and fight infections. WHAT IS TINCTURE? Super concentrated herbal medicines, usually, with an alcohol base. Apple cider vinegar or glycerin can be used in place of alcohol. Homemade echinacea tincture is handy in prolonged illnesses. Discover benefits of echinacea tincture!